The world loves a prize fight in the right or on the field of play. We get excited when it’s time for two of the best, especially if they have been the best for many years, to square off against each other to see who will come out on top. The same is true in the automotive world where we see cars go against each other all the time, but normally we look forward to contests between hot rods, muscle cars or super sports cars, not car that are part of our everyday driving world such as the Honda Civic and Mazda3. Why don’t we look forward to a contest like this? Both of these cars have been stellar performers for several years and each one has taken its licks only to come back fighting even stronger. 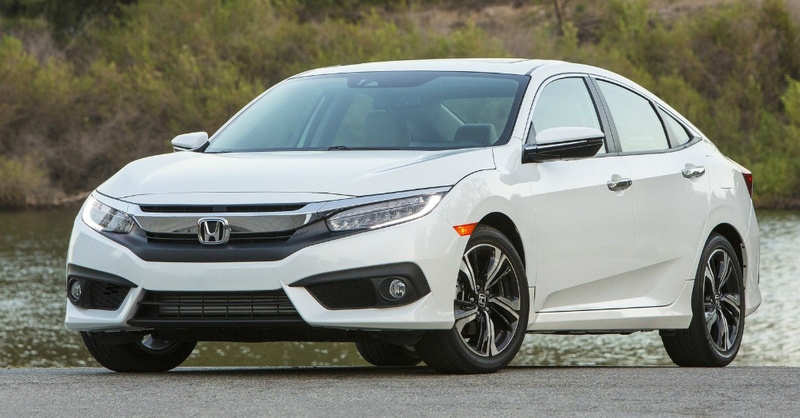 Newly redesigned for 2016 the Honda Civic is a car that has won several awards already for style and build which makes it the perfect car to be put up against the Mazda3 which won the same accolades only two years before. Let’s take a look and see how these two stack up against each other; who will come out on top as the winner? The Mazda3 shows up with a two toned interior and contrasting red stitching to give you bits of intrigue. The carbon fiber plastic accents that you find throughout the car look great and add to the overall style. On the outside this is a car you can’t take your eye off. Every angle has something interesting to see from the curvature of the hood to the lines that reach the rear of the vehicle this car shows off in ways that others just can’t, even three years after winning awards as one of the best cars on the market. The Honda Civic does a wonderful job of giving you the controls where you want them and has an upgraded infotainment system comparted to the Mazda3. The style and look inside the car is elegant, stylish and sporty even if you don’t get the same two toned look that comes on the Mazda. Seating is comfortable in both cars but one place the Civic is certainly better than the Mazda is in the trunk which is much larger to carry more gear for you on the road trips you want to take in this car. The feature comparison may not be a fair fight. The Civic is two model years newer and expected to have more features, which it does. The Civic also comes at a higher price, and for this added cost you will enjoy the Wireless Qi phone charging, adaptive cruise control, lane keeping assistance, Apple CarPlay, Android Auto and LaneWatch using the camera under the mirrors to make sure you can see what is going on around the car. For the Mazda3 you do have the blind spot monitoring and head up display, but it’s not nearly the high quality setup you find on the Civic. For this category it was an easy knockout punch for the Civic to win this round, but there are more rounds to go. This is typically where Mazda leaves others in the dust and the Mazda 3 did not disappoint in this category at all. The Mazda 3 is active and fun to drive with a suspension that allows you to toss the car around a bit while staying fully planted. The steering is light and easy to handle which makes for the perfect setup for driving even if the engine is a little louder than you expect. One stand out benefit for the Mazda3 is the fact it uses a six-speed automatic transmission instead of the CVT that is found in the Civic. As for the engines, the Mazda3 gives you a 2.5-liter four-cylinder engine that has 184 horsepower and 185 lb.-ft. of torque. The Civic arrives with a 1.5-liter turbocharged four-cylinder engine that makes 174 horsepower and 162 lb.-ft. of torque. The fact that the Civic is over 100 pounds lighter doesn’t make enough of a difference when it comes to the driving and power. The engine note of the Civic is a bit more enjoyable and using a CVT certainly allows it to be smoother on the shifting, but for overall driving the Mazda 3 is the right choice. Even though it’s not the driving choice the Civic does feel good and is an athletic car to drive. The expectation that this would be a sporty car is more of a letdown than it should be, but the Civic is certainly capable and an enjoyable car to drive, especially if fuel mileage is important to you. The Mazda gives you an average of 28.8 mpg while the Civic will bring you a huge jump to a mark of 36.2 mpg, which could make an enormous difference on a long road trip. Two years younger makes this a clear winner for the Civic. The smooth driving, nonexistent shifting and quieter ride is what makes this car a great one to drive. As this is a huge part of the overall driving experience this could be where Civic throws that knockout blow and leaves the Mazda3 behind for good in this particular contest, but let’s take a look at the refinement of the Mazda3 before we deem a kill shot for the Civic. When it comes to the drive of the Mazda3 you do feel connected to the road and confident in the drive. For those of us who will test the limits of the car this is an important factor to make sure we have an idea of what is going on where the tires touch the road. Overall the verdict on refinement is a bit more of a personal choice. If comfort matters to you more than performance the Civic is the right choice for refinement, but the Mazda3 did not end up on the mat as it offers a completely different feel to appeal to drivers who want more excitement. Just as you would have one fighter raise their hand at the end of a bout or have a team on the field that has won over the other we do have a winner in this contest, but it’s not nearly as clear as you might think. For your daily driving duties which might require you to sit in traffic the Civic is the better choice because of the gas mileage, quieter ride and smooth CVT. For those times when you want to head out to the backroads in your area the Mazda3 is the right choice for the added power, exceptional driving manners and pure fun from behind the wheel? Which one wins out for you; that is a personal choice you have to make, but both cars certainly have reason to be proud and put their hands up in this fight.